Dadang Christanto, Survivor, 2009, performance at Goulburn Regional Art Gallery, 2013. Image courtesy Goulburn Regional Art Gallery. Dadang Christanto, Survivor, 2009, performance at Glasshouse Regional Gallery, 2012. Photography by The Mil Studios Port Macquarie. Image courtesy Glasshouse Regional Gallery. Dadang Christanto, Survivor, 2009, performance at The Glasshouse Regional Gallery 2012. Photography by The Mil Studios Port Macquarie. 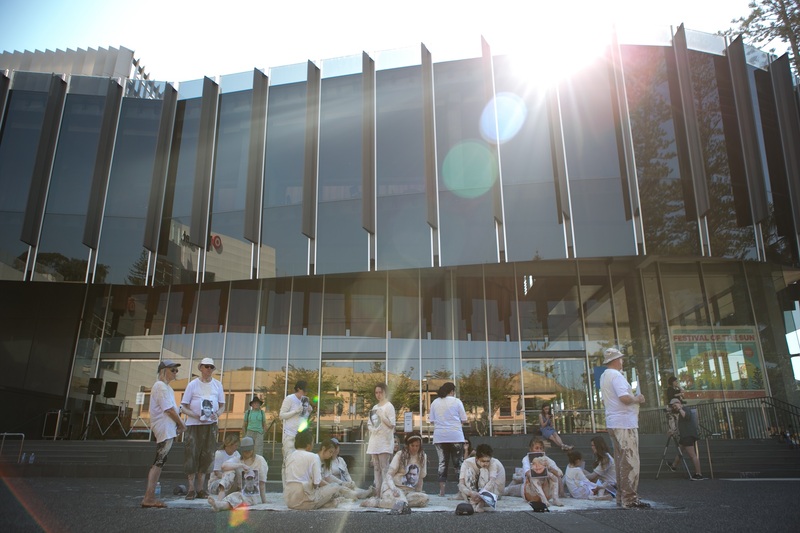 Image courtesy The Glasshouse Regional Gallery. 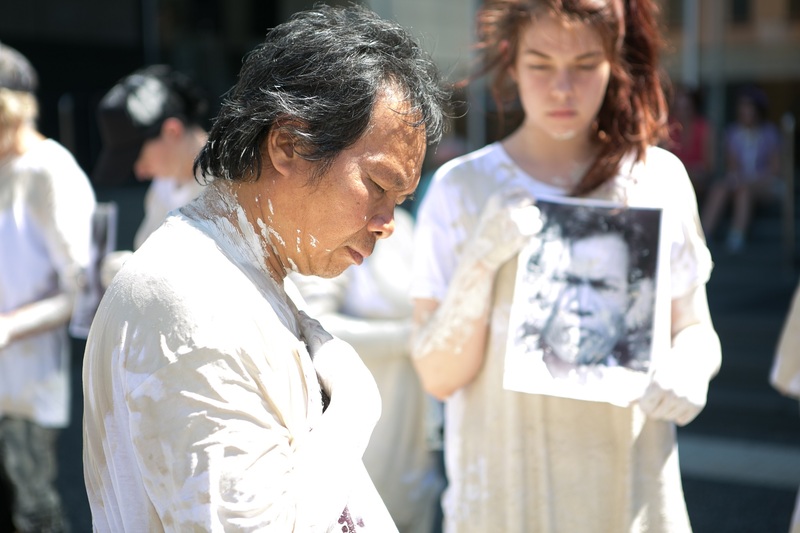 Dadang Christanto, Survivor, 2009, performance at Lismore Regional Gallery, 2012. Image courtesy Lismore Regional Gallery. Survivor: Dadang Christanto was a major art project by contemporary Indonesian-Australian artist Dadang Christanto, toured my Museums & Galleries of NSW from 2012 to 2013. Initially developed in 2008 as a live protest against an environmental disaster that occurred in East Java which saw hot volcanic mud wipe out eleven villages and destroy many lives, Survivor has since transgressed beyond cultural borders, evolving into a universal, multi-faceted reflection upon human survival and what it means to endure tragic historical events, loss and death. 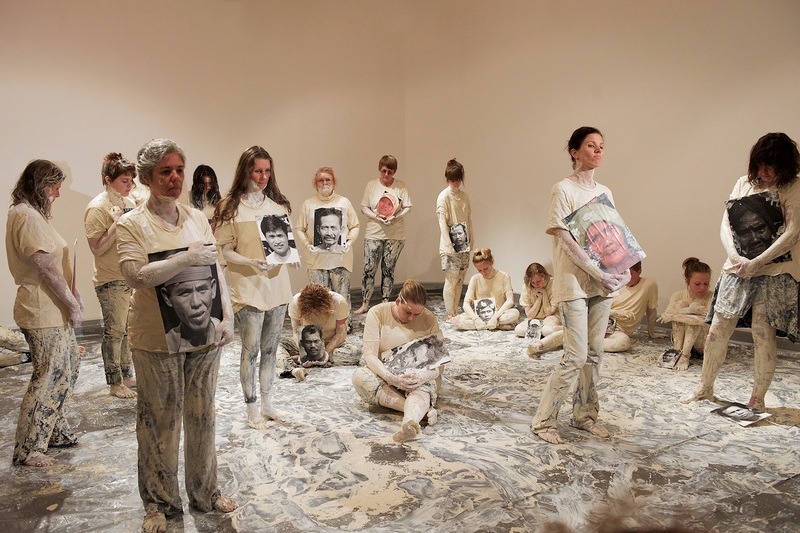 Commencing with a single three hour performance, local volunteers occupied the gallery space in silent vigil, symbolically covered in mud and holding photographic portraits of faces lost in the disaster. 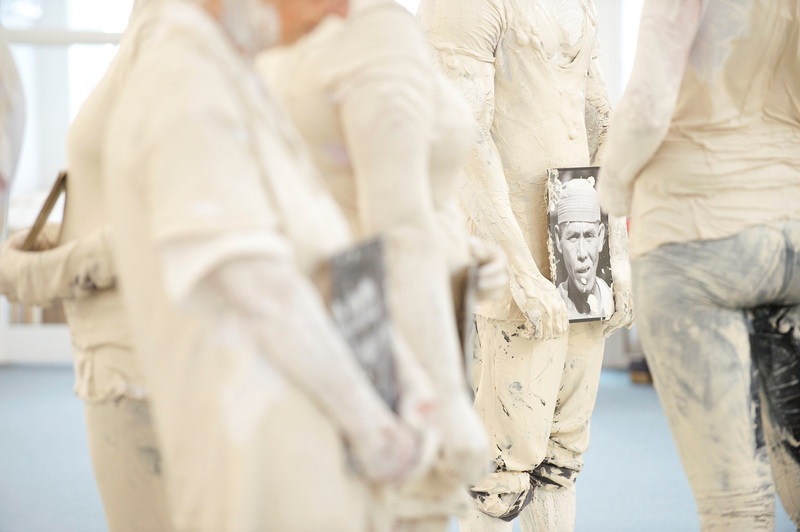 The performance was followed by a visual exhibition consisting of detritus from the performance, video and photographic documentation memorialising the catastrophe and its ongoing consequences. Presented by Kultour in partnership with 4A Centre for Contemporary Asian Art and toured by Museums & Galleries of NSW. This exhibition is supported by the Contemporary Touring Initiative through Visions of Australia, an Australian Government program, and the Visual Arts and Craft Strategy, an initiative of the Australian Government and state and territory governments.